The combustion process of a premixed propane/air mixture in a plane jet under the acoustic action on the flame is considered. At a smaller fuel–air equivalence ratio, the effect of the transverse acoustic field on the jet combustion process is considerably weaker. 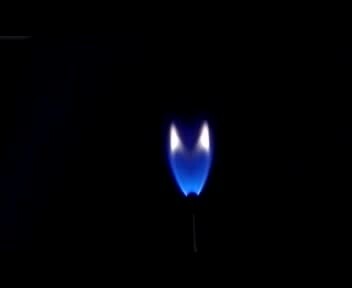 The flame of plane microjet in the case of propane/air combustion is subjected to bifurcation upon the acoustic action.